Earlier today, Federal District Court Judge Reed O’Connor issued an important ruling in a case brought by twenty GOP-controlled state governments, arguing that the Obamacare individual health insurance mandate is now unconstitutional, because the tax reform bill Congress passed in December 2017 eliminates the monetary penalty for violation. Much more importantly, the states also claim that the rest of the Affordable Care Act must fall with the mandate because it cannot be “severed” from it. Judge O’Connor ruled in favor of the states on both counts. I think he was right on the first issue, but badly wrong on the second. Like co-blogger Jonathan Adler, I think it is highly likely that this part of the judge’s ruling will be overturned on appeal (though, for reasons discussed below, I am a bit less confident on that score than he is). In December 2017, the GOP Congress enacted a tax bill that…. 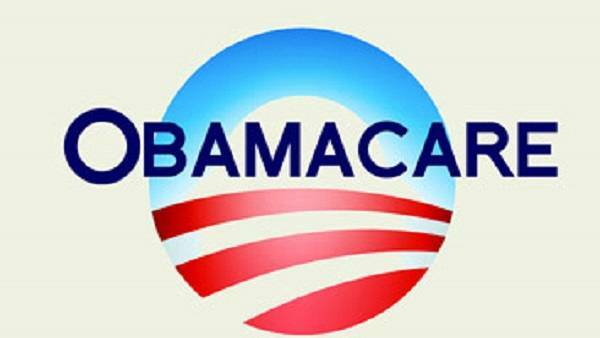 abolished the fine previously imposed on people who disobeyed the ACA health insurance mandate. The mandate itself remains on the books. But violators are no longer subject to any penalty. For this reason, the state plaintiffs in the newly filed case argue that the mandate can no longer be considered a tax. In the absence of a financial penalty, it no longer “produces” any “revenue for the Government.” Indeed, it no longer even tries to do so….. The plaintiffs are absolutely right on this point. A tax that does not require anyone to pay anything is like a unicorn without a horn. It is pretty obviously not a tax at all. As I explained in a post published back in June, I think this aspect of the case is important in and of itself, and not just because of the potential implications for the rest of the ACA. But almost everyone else following the current Obamacare litigation seems to care only about the severability issue. The fate of the ACA hinges on it, whereas few worry about the fate of the now-toothless mandate for its own sake. And Judge O’Connor’s analysis of the severability issue is badly flawed. When one part of a statute is ruled unconstitutional, courts are not supposed to strike down other parts of the same law unless they are inextricably connected and Congress would not have intended the latter to function without the former. In today’s opinion, O’Connor demonstrates at length that Congress considered the individual mandate to be an “essential” part of the Affordable Care Act when it was first enacted back in 2010. However, the mandate that reasoning applies to was the original version that included a penalty. Congress’ 2010 legislative findings and other statements about the importance of the mandate simply do not apply to the post-2017 version, which no longer imposes any penalty for violation. It just doesn’t make any sense to conclude that an essentially toothless mandate is “essential” to the ACA. And that is the version whose relevance the court must consider in the current case. Judge O’Connor’s analysis of the post-2017 version of the law is brief and cursory. He notes, correctly, that the 2017 Congress did not repeal the 2010 findings on the supposedly “essential” nature of the mandate, and that it did not make any new findings on this subject. But none of this changes the fact that the court’s job is to evaluate the essentiality (or lack thereof) of the present version of the mandate, not the one that existed before December 2017. The 2010 findings do not apply to the former, and Congress did not need to make any new findings to demonstrate the fairly obvious point that a virtually toothless mandate is not essential to anything. Under the 2010 version of the ACA, it was plausible to argue that the mandate was a nail for want of which the battle (or, in this case, the ACA) would be lost. The current version is akin to a rusty nail that no longer holds up anything, and indeed no longer even has a sharp point. For those interested, there is a more extensive discussion of the severability issue in the amicus brief I joined with several other legal scholars, including Jonathan Adler, Nicholas Bagley, Abbe Gluck, and Kevin Walsh. But, to my mind, at least, the issue really comes down to the simple common-sense point that a mandate without teeth cannot be considered essential to anything. For what it is worth, Adler and I believe that the original Obamacare mandate was unconstitutional, and he was one of several legal scholars who joined the amicus brief I wrote against it (we also later coauthored a book about the case). Bagley and Gluck were on the other side of that issue. But we are on the same page when it comes to the severability question. As already noted, I do not expect this ruling to survive on appeal. But I am not quite as confident on that subject as most other commentators seem to be. The fact that one federal judge has endorsed the states’ severability argument increases the odds that others might, as well. The history of ACA-related litigation is filled with surprises and failed predictions by experts. My own predictions about the original Obamacare case were right on some key points, but wrong on others. So it is certainly possible I could turn out to be wrong about a key aspect of this case, as well. There is, however, one important distinction between the 2012 ACA case and the current one. Despite repeated claims to the contrary by the law’s defenders, there was never a broad, cross-ideological consensus in favor of the constitutionality of the individual mandate. From early on, prominent conservative and libertarian legal scholars and commentators argued that the law was unconstitutional. The issue was one that divided experts largely along ideological lines. Thus, judges could (and did) write plausibly defensible opinions on either side of the issue. By contrast, expert support for the states’ severability argument in the present case is notable by its near-total absence. Those conservative and libertarian legal scholars who have opined on the subject have almost all argued that the states’ position is badly wrong. That doesn’t necessarily mean the states cannot win. Judges don’t have to listen to expert commentators, and sometimes even go against their consensus views. But lack of intellectual respectability does make it much harder for a controversial new argument to prevail, especially in a high-profile case like this one. UPDATE: I wrote this post before I had a chance to see Jonathan Adler’s update to his own post about this ruling, where he offers a similar critique of the severability part of the decision. Economic Boom? … Why Is Homelessness Skyrocketing?